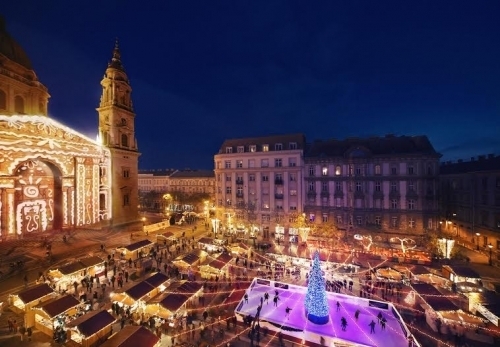 If your footsteps have not yet reached the Saint Steven Square in Budapest to be at the Advent at the Basilica, then will be sorry for skipping time out. There is still one more chance to have a superb ball on the 31st of December and on the 1st day of the New Year. For all sence will be pleasure … on the first day of the New Year’s holiday in addition the stalls will offer plenty of street food along with the hot cocktails. The light painting countdown to welcome 2017 offers locals and foreigners all the goodie foods made from lens on the 1st of January. This is a tradition, not only our wallets, but also as an aphrodisiac of love lives … “upload yourself”. We all feel that our life is especially important in the New Year period, we vow, we try to establish the New Year with good luck as well. As a tradition on the first day of the new year eat lentils, it symbolize not to have empty our wallet throughout the year. Superstitions strength lies in the fact that many small frontal stands as a symbol of money. The ancient Greeks particularly liked the lentil soup and as known was primarily food of the poor and among the nobility did not become popular. It is considered an aphrodisiac, Aphrodite by the Greeks since antiquity, one of the symbols of the goddess of love was considered… and ont he other hand the lentil works good to our health because it contains antioxidants, high in fiber, low on fat, an excellent source of vegetable protein and stimulates the immune system. On New Year’s Eve no-one will be disappointed at the Basilica feast, where on this day not only the mulled wine will pay the main role. The party starter goes with sparkling wines or assort of fruity pálinka drinks and orange fooled punch, hot cocktails and for the tough folks may give it a try to even the 60% of Pálinka. Naturally, will go on the 3D light painting on the walls of the Basilica and music all night. The ice rink still will be awaiting children under 14 years old with ice-skate renting option at hand. Make the St. Stephen Square the main meeting point in Budapest to get together with family and friends. Enjoy the bustle and where each minute will be a real treat. I just left a comment regarding the Commonwealth War Cemetery (particularly the crew of Wellington ME957), and then decided to look further into your blog. I was in Budapest near Christmas in 2011, and remember the Christmas markets – what a wonderful atmosphere, and wonderful markets.